It's a fact of life that betta fish sometimes become sick. You can prevent most betta diseases from taking hold by keeping your betta's tank clean and feeding him an appropriate diet. However, the day may come when your fish just doesn't act like himself and you suspect you might have a sick betta. Learn about some of the most common betta fish illnesses and how they are treated. Although there are many betta fish illnesses, the following conditions are the ones a pet owner will most likely ever have to deal with. 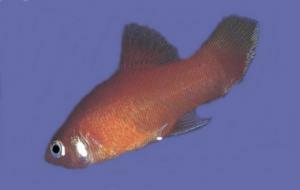 Fin rot is a betta bacterial infection of the fins that virtually eats away at them. It's typically brought on by poor water conditions that stress the fish and lower its immune system's ability to fight disease. 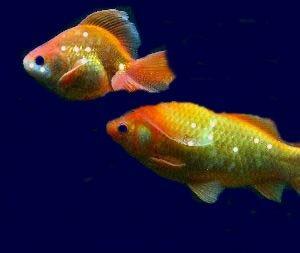 If left untreated, the infection will work its way into the betta's body and eventually kill him. Treatment consists of a complete water change and medicating the fish with tetracycline for the initial bacterial infection and anti-fungal medication to stave off an opportunistic secondary infection. Constipation is the result of over feeding your betta. Signs of constipation include a lack of appetite, swollen abdomen, and an absence of feces in the bottom of the tank. Treatment often involves fasting the betta for a day or two. Another remedy is to feed the fish a single frozen pea with the skin removed. The fiber helps move the blockage. Remove any uneaten pea after 20 minutes. Ick is a betta fish parasite infection, and these organisms are almost always present and waiting for an opportunity to latch onto a host. The first sign is a few white spots on a betta's scales that look like tiny cotton balls. These are actually cysts that harbor the immature stage of the parasites, known as tomites. The fish will also clamp his fins and rub up against any surface in the tank as it tries to dislodge the parasites. Ick can only be treated in the free swimming stage, so you need to remove your carbon filter, add an ick treatment such as malachite green to the water and raise the tank temperature to 85 degrees Fahrenheit. This encourages the cysts to detach and burst. This in turn releases the tomites, and then the medication in the water can kill them. This is another parasitic infection. 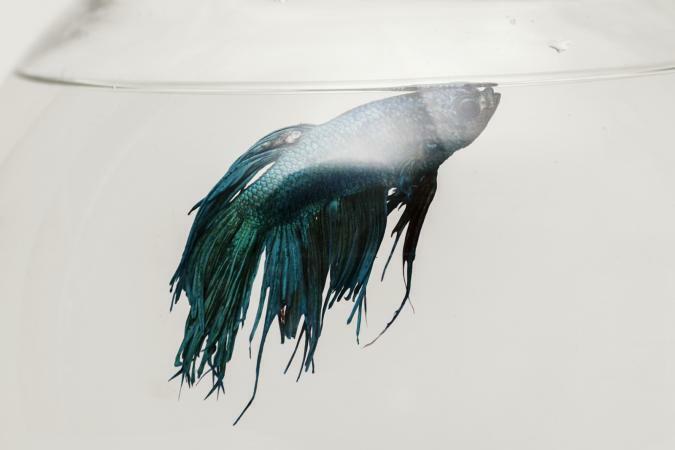 An affected betta will have a gray to golden coating on his body. Sometimes this isn't easy to see, but velvet should show up under good lighting. The treatment for velvet is basically the same as for ick. Fungal infections can take hold any time there is damage to a betta's slime coat. 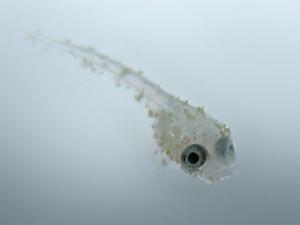 An affected fish looks as though it's wearing cotton. Treatment involves adding a fungicide to the tank. You may also need to spot treat the fish with methylene blue or gentian violet. 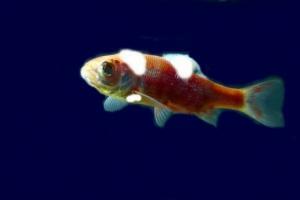 Swim bladder disease affects your betta's ability to swim normally. You may notice he has trouble maintaining his balance and swims on one side, upside down or perhaps has difficulty swimming to the top or the bottom of the tank. The problem is usually due to a bacterial infection often brought on by poor water quality, but injuries sustained during transportation, breeding, or fighting can also produce this condition. Treatment involves moving the affected betta to a shallow tank where the water line will only be a few inches above his top fin. Treat the water with an antibiotic and make daily water changes until the fish recovers. You can improve your pet's chance of recovery if you follow these tips. Your local aquarium shop will carry medications for a wide variety of diseases, so ask for help in choosing the right one. True hobbyists at these shops are happy to try to help you figure out which disease your fish has and recommend the right medication. Follow the directions on the medication's label to the letter. Don't guess at measurements; medications say specifically how much to use either per gallon or per tank size. You may need to cut down the dosage to the appropriate amount for a smaller tank. Keep in mind that some medications will kill a fish if they aren't administered correctly. Follow through with the treatment as recommended. The biggest mistake most people make is to discontinue the medication once the betta begins to improve. This often allows the disease to regain a foothold, and then it will usually become resistant to the medication once treatment is resumed. The most important tip of all involves care and prevention. A betta will most likely never suffer from one of these diseases if his tank is kept clean. So, carry out those routine water changes, change your tank filter as recommended by the manufacturer, and really take the time to observe your fish so you can spot any sign of illness at the onset. Treatments are always more successful when you catch the problem early.